While I'm sure he'll play a pivitol role in "Guardians of the Galaxy", it's not likely to be the main villain, and so much screen time for the mad titan will have have to come another day. But Marvel's big closing announcement of the title of the second team film gave us the villain. So, Ultron is it? And I don't think that it'll be a film based on the currently running series by the same name. It's more likely going to be Whedon's twist on the story. But we know that the scope of this Marvel film will be even bigger than the first one. If Ultron is the villain then you can expect a sort of Terminator type story. And with Joss Whedon writing it, I look forward to the dialogue between Tony Stark and Ultron. But will Ant-Man be in this one? It would be very strange to introduce him here instead of his own film which will come out later in the year after A:AOU. My guess is it'll be explained away somehow cleverly: like how an agent of S.H.I.E.L.D. was able to be brought back after being killed by a Nordic god. Or how Buffy has a sister that she's never really had before. Maybe Hank Pym is in this. Perhaps not and Ultron comes from another creation. The Marvel Cinematic Universe isn't bound by the rules of the Marvel Comic Universe. Joss has already said that Hank Pym won't be in it. 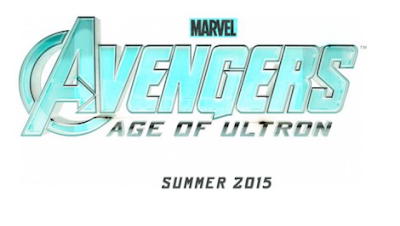 Ultron will have a different origin story. Can't express how excited this made me! Ultron is one of my favourite villains across all universes. 2015 can't get here fast enough!